As the over-the-top (OTT) video is rapidly increasing, providers across the competitive landscape have two main concerns: convert as many new subscribers possible and retaining the subscribers they have. Those two basic market elements drive virtually every single decision by executives in the streaming video industry. Based on third-party research it appears that getting subscribers and keeping appears to be a major hurdle. OTT services have a low barrier to entry and this highly competitive landscape forces many providers to promote free trials to get an initial influx of subscribers. The result: a market where consumers switch from service to service and tend to move in and out of subscriptions. How can OTT services better attract and retain customers? What customer-acquisition practices are available to competitors in the space? And which retention strategies are working, and which are not? OTT services do not disclose how many customers cancel their service. According to third-party estimates, it’s clear why they don’t share these figures. They just aren’t flattering. 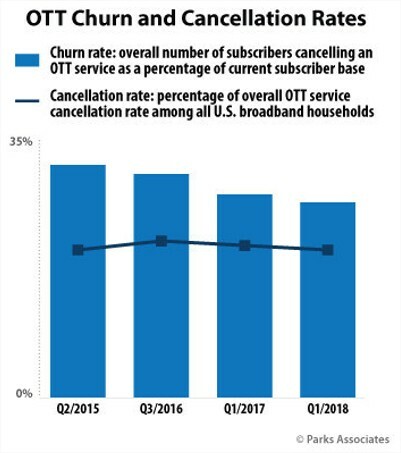 In 2017, 18% of all broadband households and 29% of households subscribing to an OTT video service had canceled one or more services within the past year (source: Parks Associates). It’s not a big surprise because with a few clicks you can cancel your subscription. Third party researches do show some positive trends, however, especially for the biggest and best known OTT providers. The data shows that the overall cancellation rate is stable or even declining, though very slightly. Cancellation rates have dropped at Amazon, Hulu, and Netflix over the past two years. It’s clear that gaining new clients requires more investment than retaining them, on average is 25 times more expensive (Bain & Company). For example, DirecTV Now (AT&T) has been especially generous, offering a free Apple TV ($149) to new subscribers who pay in advance for three months of service or a free Roku Premiere ($39,99) to those pay in advance for two months. A report from Cartesian Consulting predicts that customer-acquisition costs which currently is below $100, will rise as the number of competitors increases. It is clear that it’s much more difficult for video streaming services to capture viewer’s attention today than it was two years ago, so they have to invest more in order to gain people’s attention. But providing free hardware to new customers may not be a viable long-term solution. Consumers that are influenced by promotions are some of the most likely to switch to another service because of another promotion. Smaller services that can’t offer free gadgets or blockbuster original series must find other ways to get attention in the market. Advertising via more traditional channels has proven to be beneficial. “This year, we’ve expanded our marketing efforts into more traditional channels like print, television and radio,” wrote Chris Frantz, Director of digital strategy at CuriosityStream. “We do our best to align ourselves with like-minded publishers and have run placements with the Wall Street Journal and the New York Times.” The science-minded OTT documentary service, with subscriptions starting at $2.99 a month, tries to keep customer acquisition costs down by partnering with such content sites as PBS Digital Studios. It mainly tracks the resulting signups via a combination of landing pages and coupon codes.” Still, the biggest driver for getting new customers are promotions and trial periods. Although the churn rate of trial periods are on average close to 50% (Parks Associates), you still have the other 50% that stay and keep using your services. With A/B testing your offers it is possible to improve those numbers because due to that process you also improve the profiling of your customers. Another important aspect concerning retention is, of course, customer longevity. According to Parks Associates, the average subscription length for OTT video services is 30 months overall, although the three top services in the market—Netflix, Amazon, and Hulu—have the most stability, while churn rates for other services tend to be more volatile. When you exclude the bigger services then the average tends to be over 21 months. The main driver for people to stay is having access to content that they can’t get anywhere else. The bigger video streaming services are showing that a constant stream of exclusive or original content is a powerful tool in retaining subscribers. And as CuriosityStream’s Frantz noted, encouraging repeat viewing itself enhances retention. “If users take the time to watch our content, they tend to stick around,” he said. Ultimately, OTT video is a longterm play, requiring several quarters to secure a growing, core base of customers. At Cleeng we specialize in Subscriber Retention Management (SRM). We’ve developed solutions to help you retain your viewers and convert them into long-term users. For every aspect of the customer lifecycle, from conversion to churn we have developed tools that help you retain your customers. 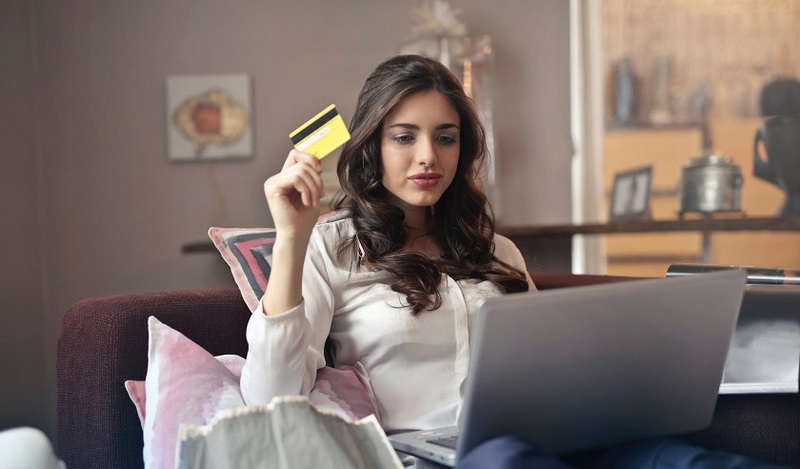 Whether it’s a seamless sign-up and payment experience, multiple trials, and promotional options, anti-piracy measures, forecasting churn or OTT specialized customer care. Contact us for a consultation to assess where we can help improve you resolve your retention challenges with your viewers.